Enrollment for the 2019-20 school year is now open for current CMS families. Priority enrollment is open through March 24 and then will be open to the public. Please enroll today to ensure your spot. Our Annual Spring Fling will be held on Sunday, April 28th. It will be from 3:00-5:00 PM and is held at The Poway Center for the Performing Arts. This is one of our most highlighted and favorite events of the school year! Mr. Short our very talented music instructor works with all of our students throughout the school year in preparation for this school wide event. Each year the show has a “Theme” which will be revealed very soon! Ticket sales will begin at 12:00 on Friday, April 12. More specific details and information will be coming soon. We look forward to seeing all of you there. Information about this year’s summer camps will be coming out soon! Every school year the school closes for professional growth days where the teachers are able to attend the AMS Annual Conference. They attend workshops and networking events where they collaborate with Montessori ans from around the country and world and come back energized and fresh with new ideas to better serve their students. Child care will be offered during these days, please contact joseb@countrymontessori .org if you will be needing it. CMS Annual Auction and Dinner Benefit – Early Bird Tickets Available Now! Our 21st Annual Auction and Dinner Benefit is on Saturday May 11th, here on the CMS campus from 4 pm – 7 pm. Come join us to celebrate 30 years of CMS. Enjoy a memorable evening of hors d’oeuvres, dinner, beer & wine bar, 50/50 Opportunity Drawing, unique Silent and Live Auction items, and our Wine Wall. The auction event is not just for the adults; while parents are enjoying the auction the kids will have their own special entertainment. Students will enjoy two bounce castles (one for early childhood and one for elementary), fun craft activities, dinner and a special animal presentation. Wild Wonders will be bringing some interesting animals for a unique animal presentation. Some of the exciting animals they may see include an American Alligator, a Blue Tongued Skink, a Grey Fox, a Kinkajou, a Patagonia and a Bearcat. Discounted Early Bird Auction tickets are available now, to purchase your tickets click HERE. You can also choose to sponsor an auction ticket for your child’s teacher. 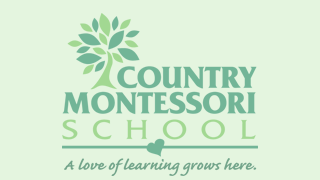 We hope that you will join us for this special family event and come out to support Country Montessori School.